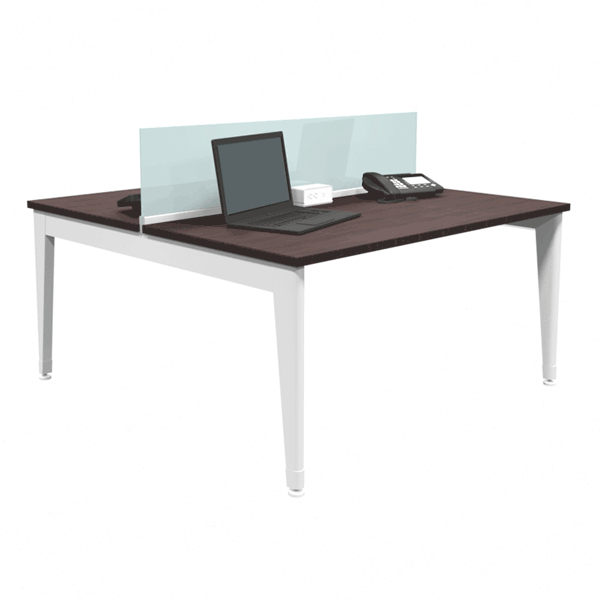 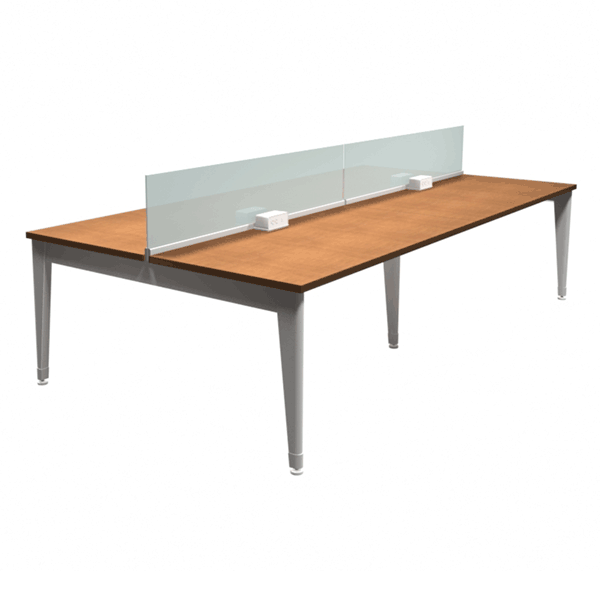 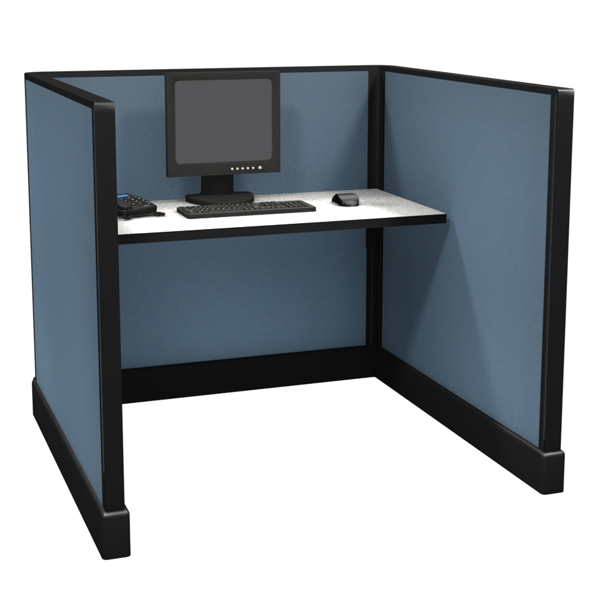 MA6788GLS; Office Cubicle with Quarter Glass Panels and Peninsula Surface. 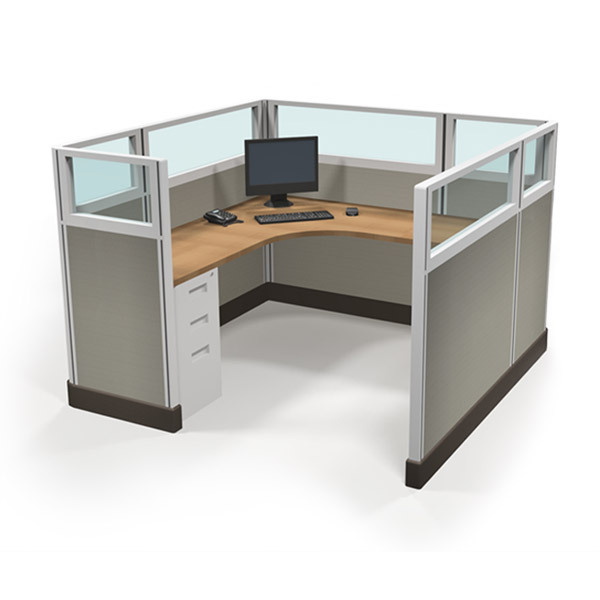 MA6788GLS; Office Cubicle with Quarter Glass Panels and Peninsula Surface. 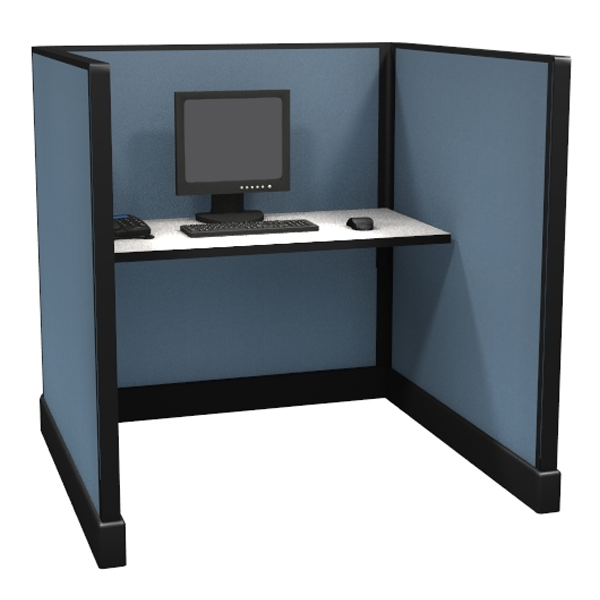 MA6788GLS; Office Cubicle with Quarter Glass Panels and Peninsula Surface. 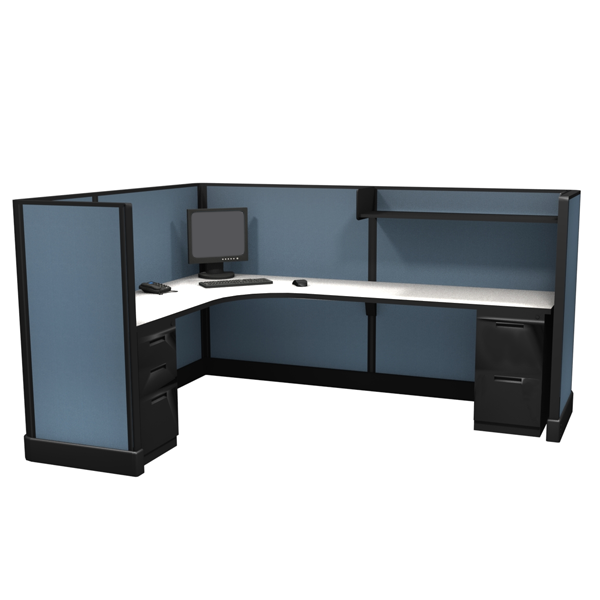 MA6788GLS; Office Cubicle with Quarter Glass Panels and Peninsula Surface. 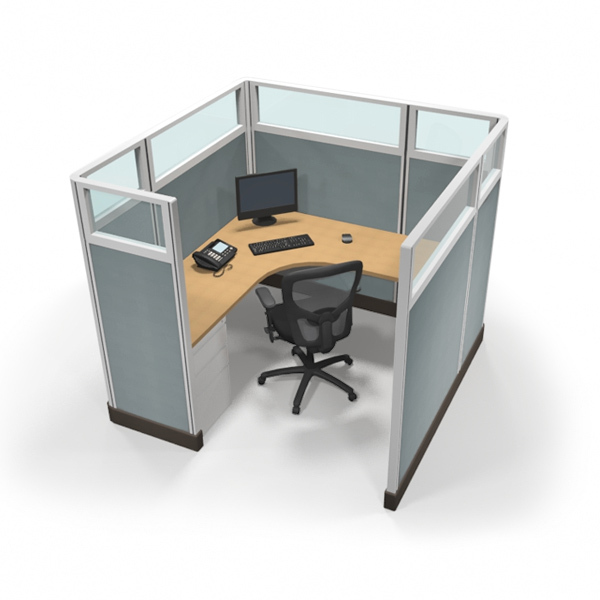 MA6788GLS; Office Cubicle with Quarter Glass Panels and Peninsula Surface. 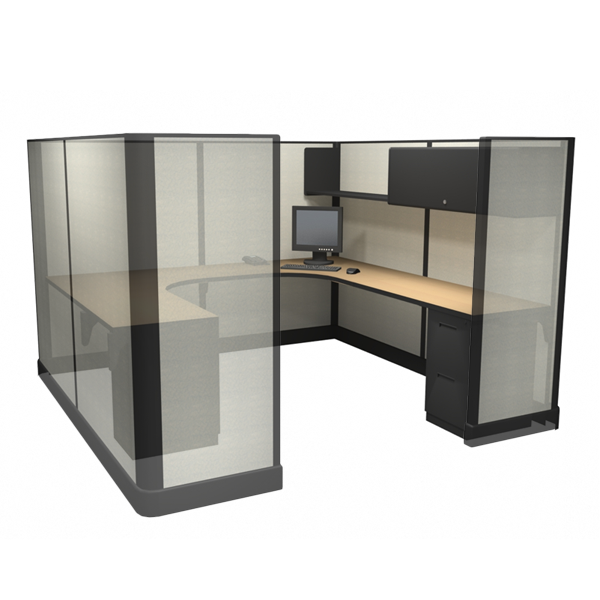 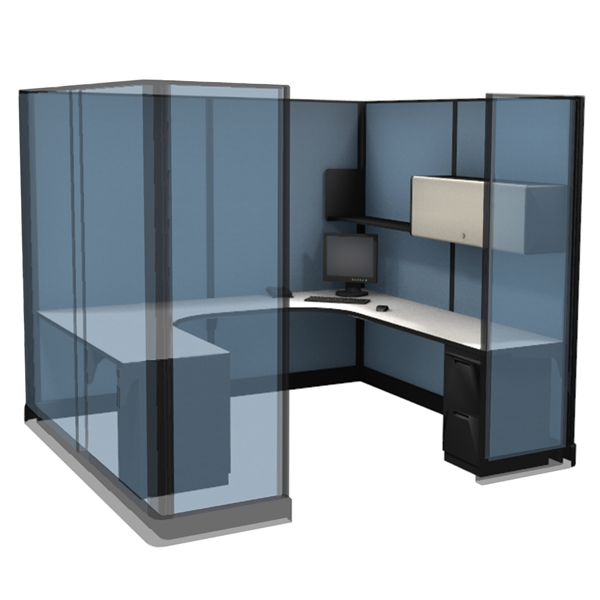 67” Tall 8’x8′ office cubicles with Quarter Glass tiles offer the perfect blend of privacy and visibility. 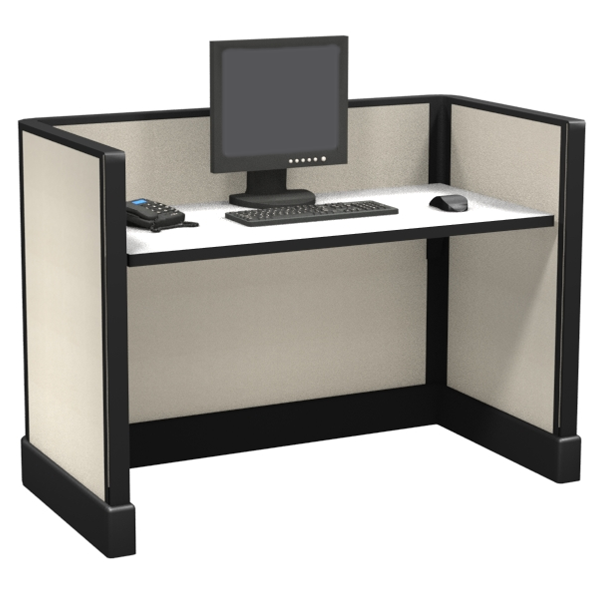 A very appealing open and modern workstation. 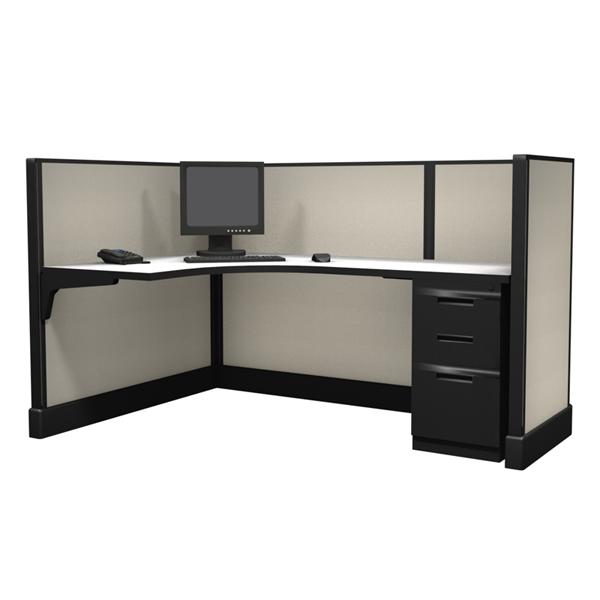 Available in a wide variety of Fabric and Finish options. 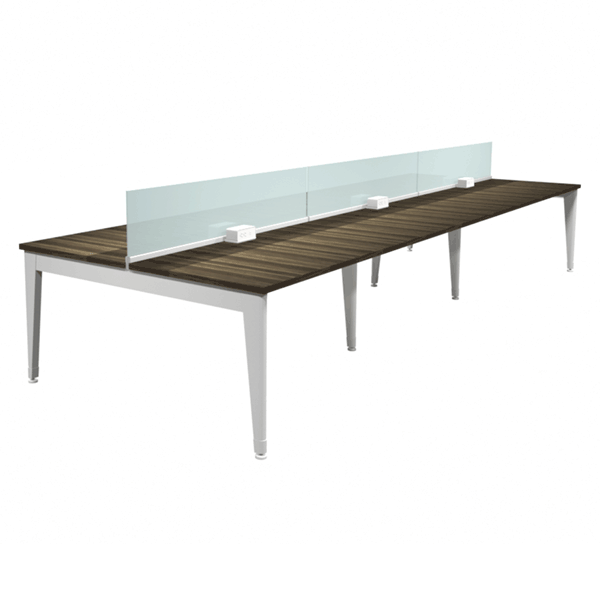 Shown with Peninsula Work Surface, Personal Storage Unit, Open Shelves and 1/4 Glass panels. 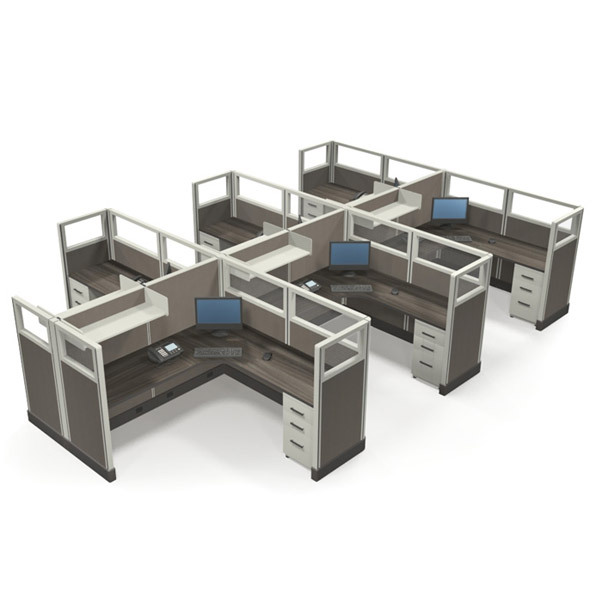 Other configurations always available to suit your needs. 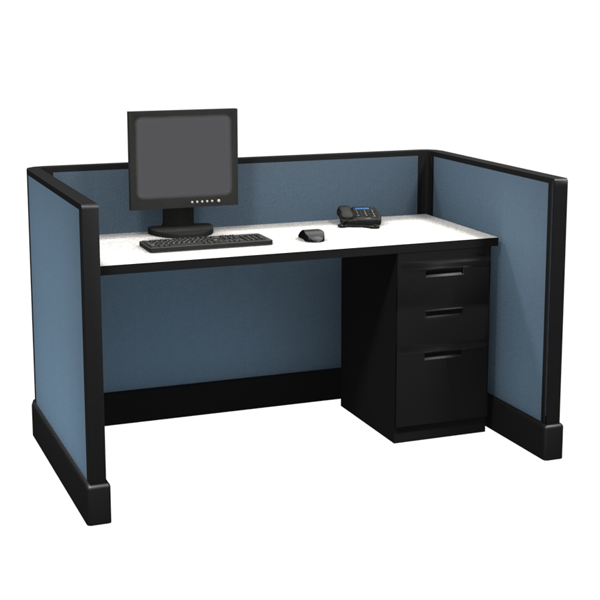 Contact us for more information, or to request a quote today. 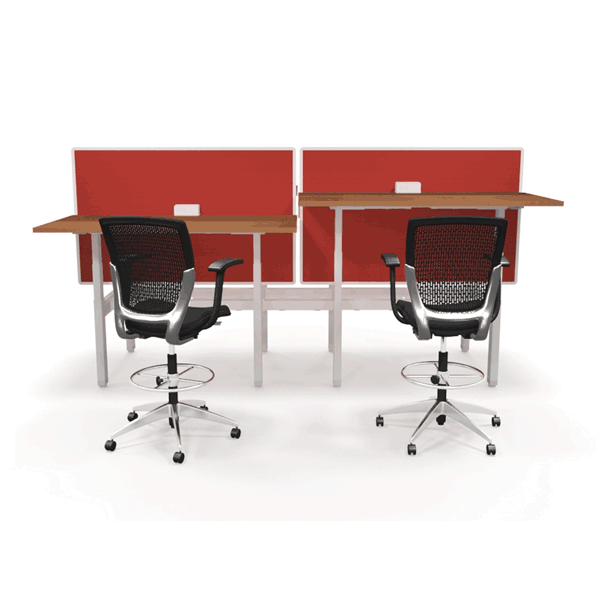 Request A QuoteWe're always local! 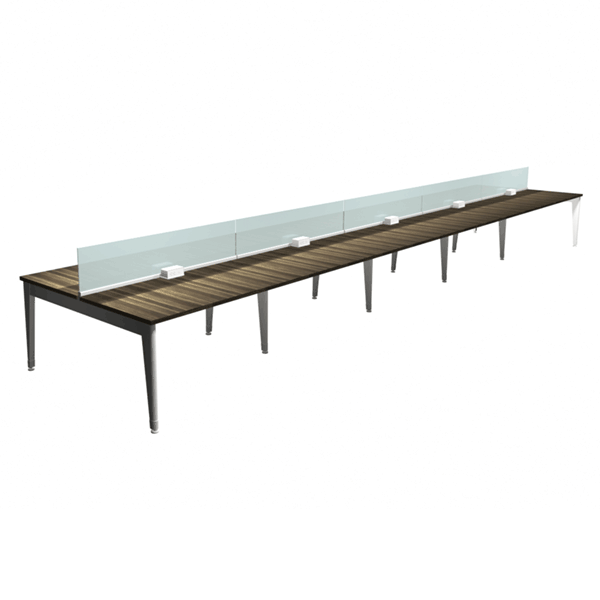 16' 10" 16' 10" 16' 10" 16' 10" 16' 10"
41' 8 1/2" 33' 5" 25' 1 1/2" 16' 10" 8' 6 1/2"
8' 6 1/2" 8' 6 1/2" 8' 6 1/2" 8' 6 1/2" 8' 6 1/2"
All cubicles are available in hundreds of fabrics, work surface and trim colors. 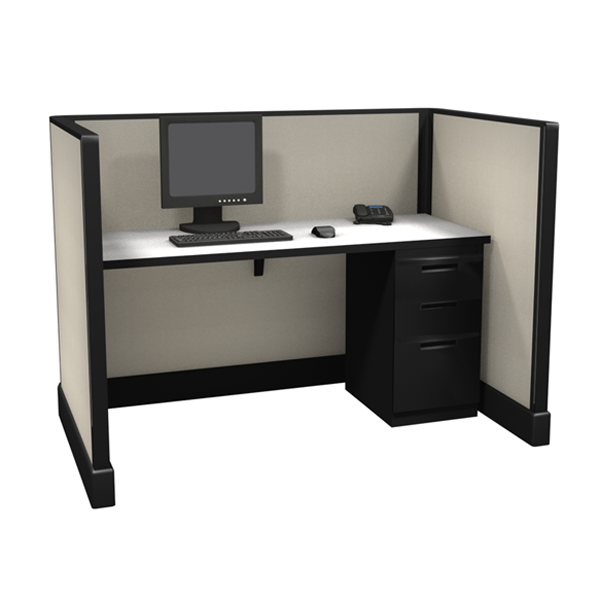 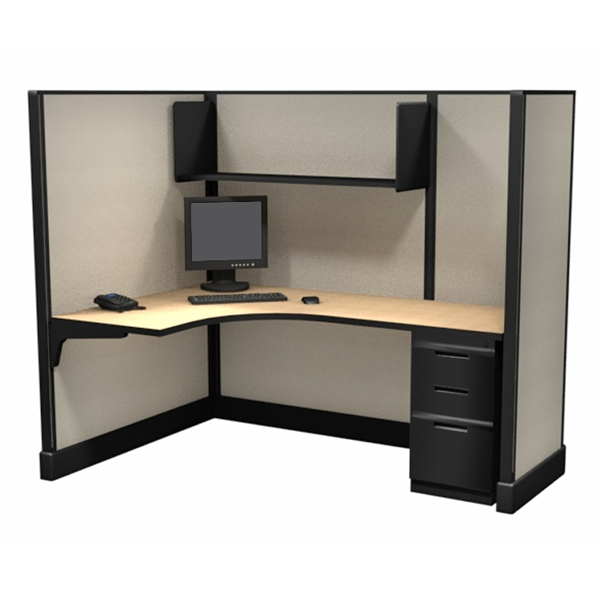 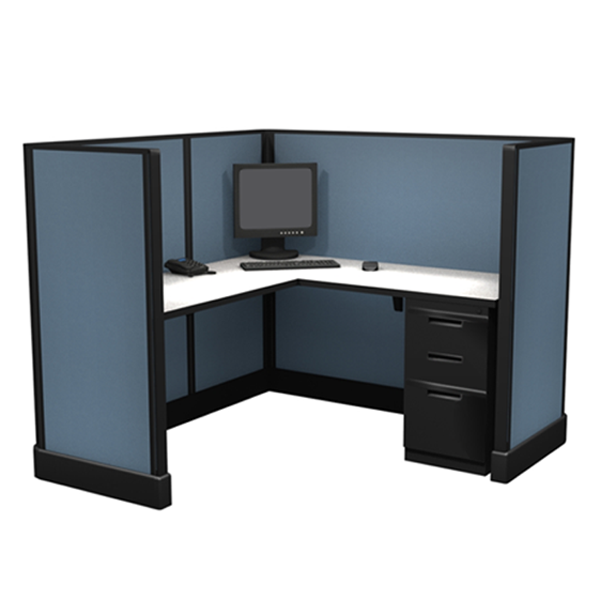 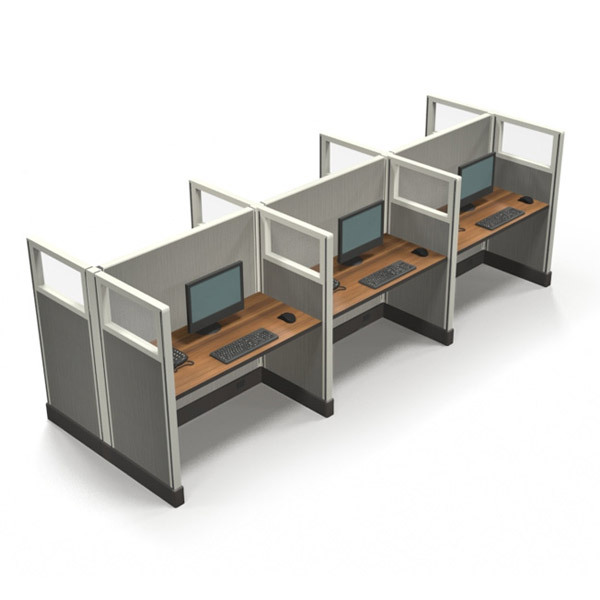 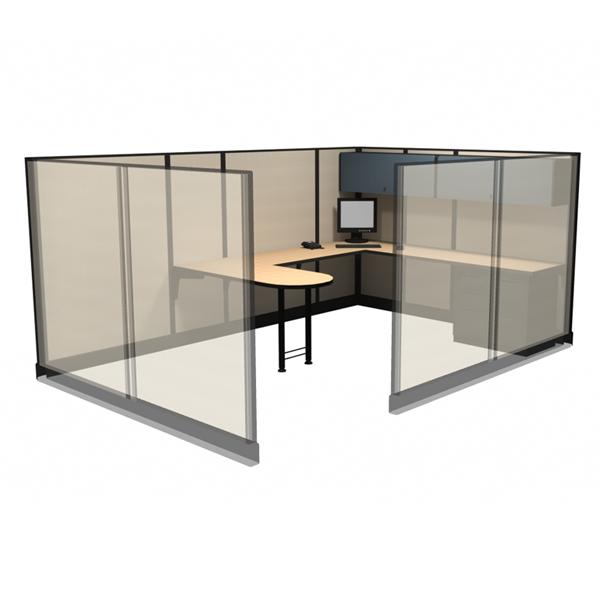 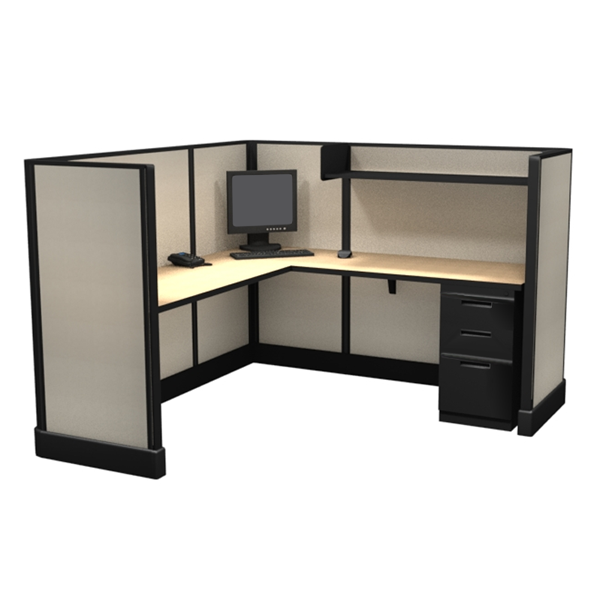 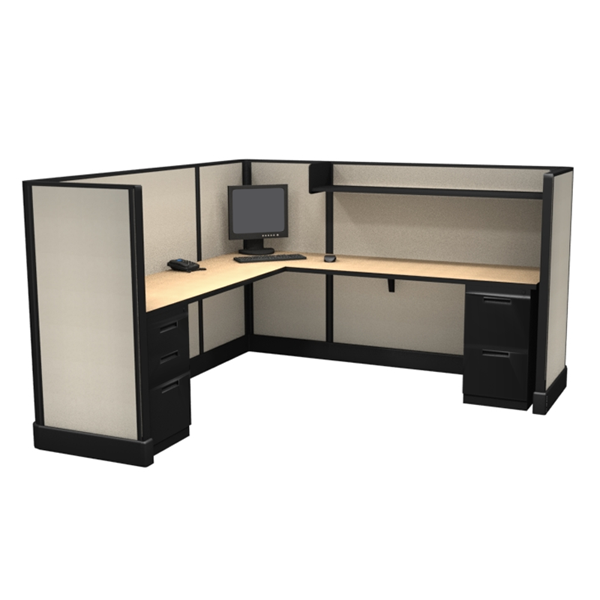 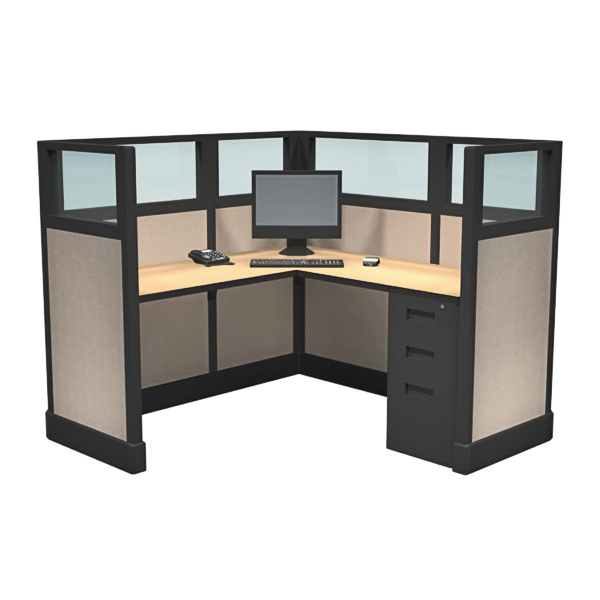 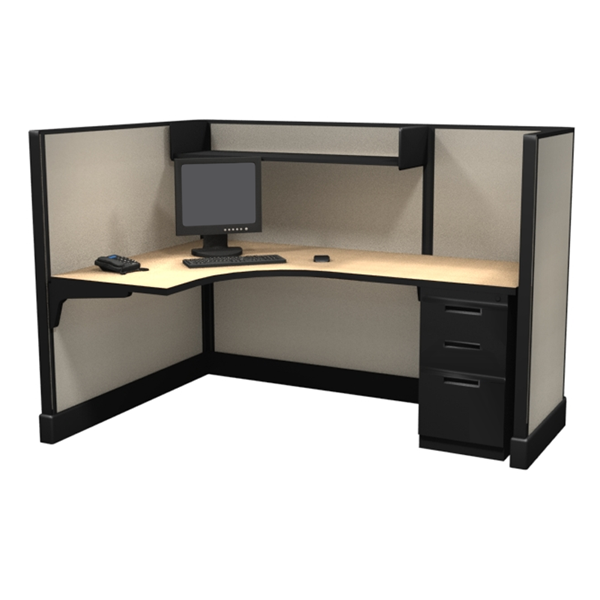 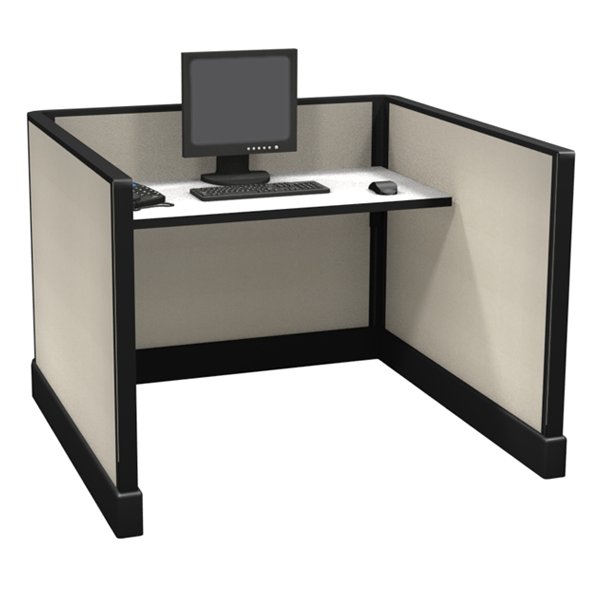 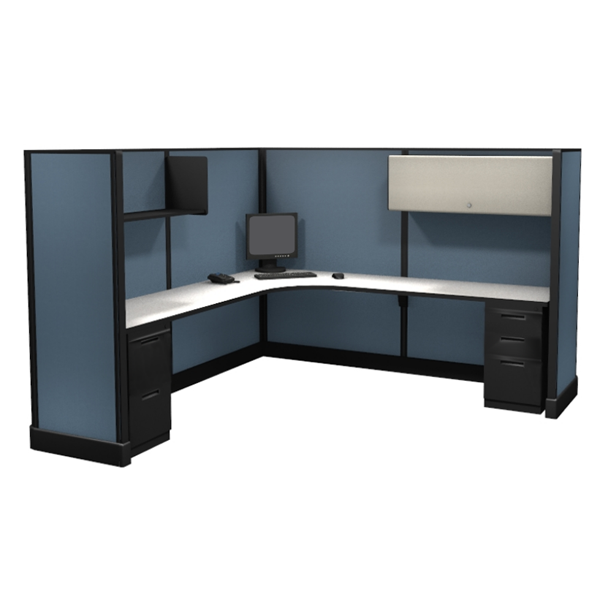 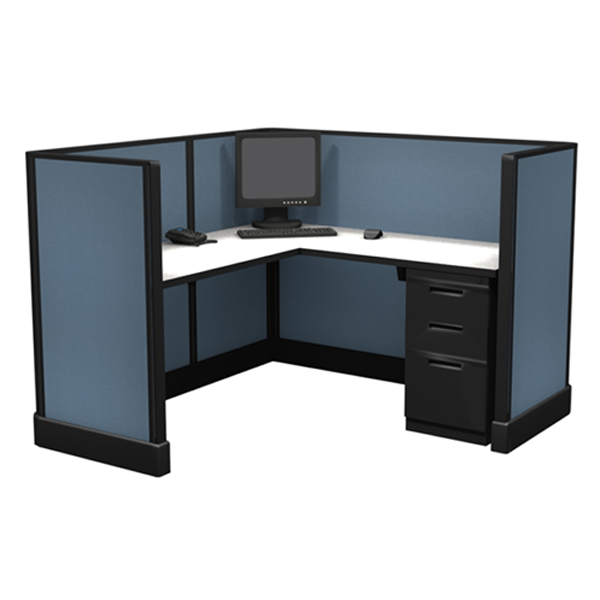 53″ Tall 8’x12′ office cubicles offer a large amount of work surface area and room to meet with team members too. 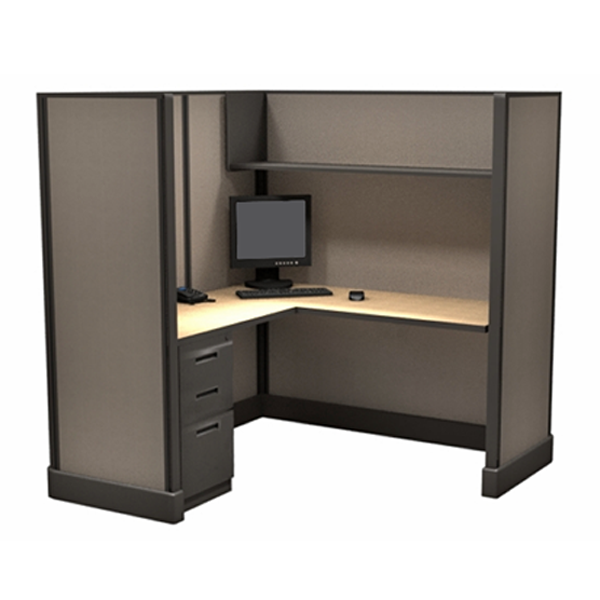 39″ Tall 6’x4′ modular furniture system is open, spacious, and roomy. 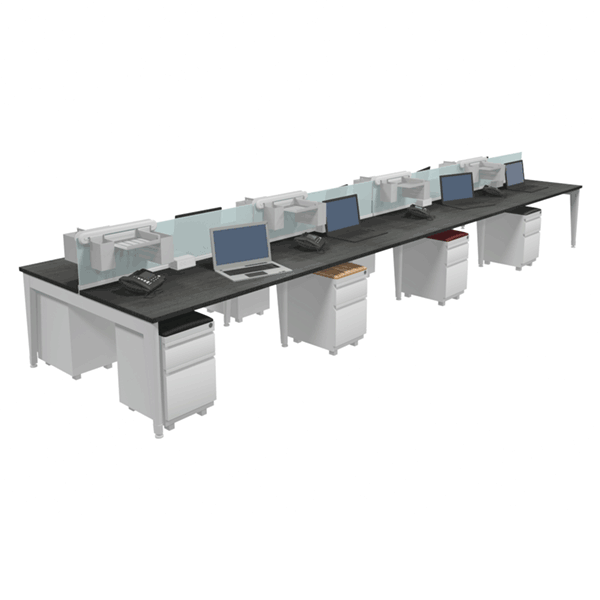 Lots of work surface area while remaining open and connected. 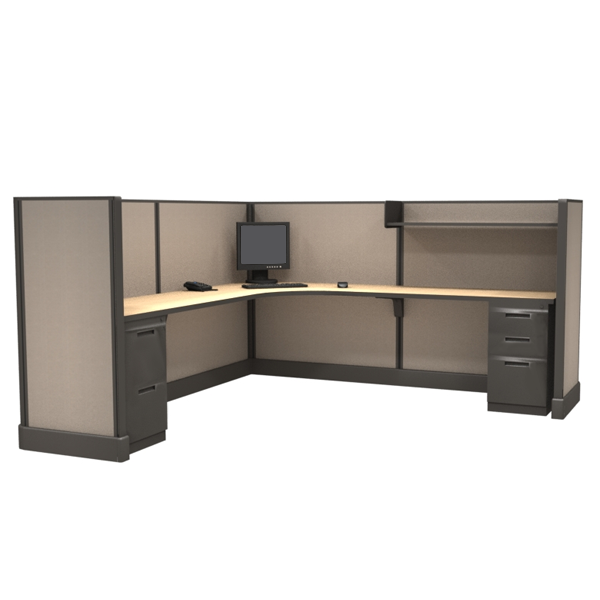 85″ Tall 8’x8′ modular furniture systems are U-shaped for maximum worksurface area, and include upper storage with exceptional privacy. 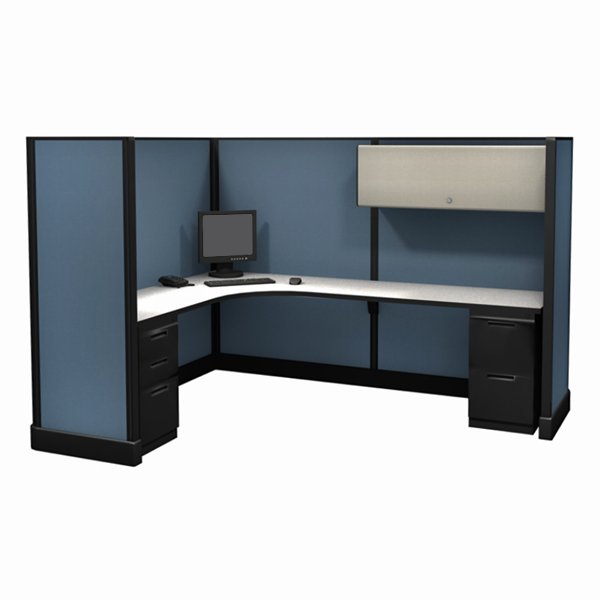 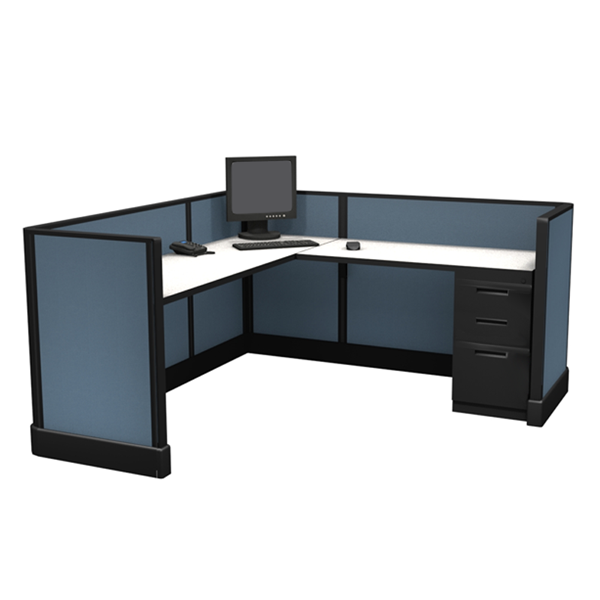 67″ Tall 8’x8′ office cubicles are U-shaped for maximum worksurface area and have upper storage with full height privacy. 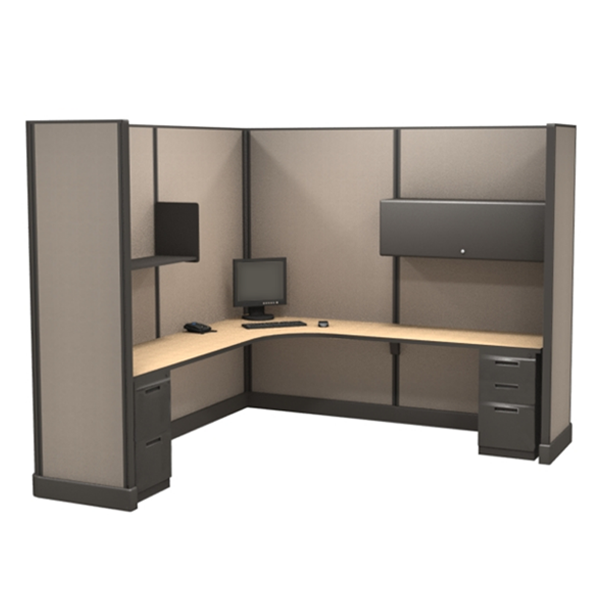 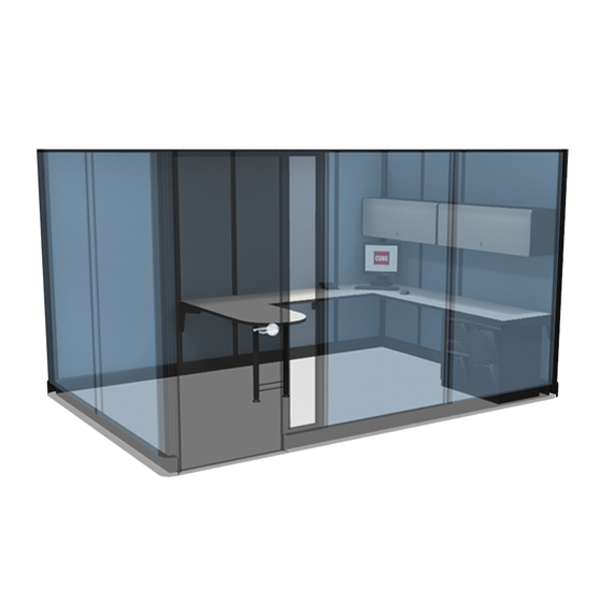 67″ Tall 8’x 8′ modular systems offer good privacy and generous workspace, making it a great choice for managers and engineers. 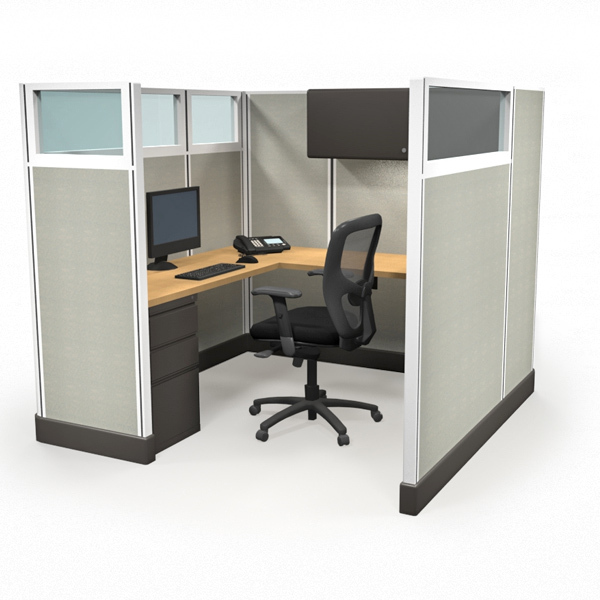 53″ Tall 7’x7′ modular furniture system offers seated privacy while maintaining an open plan environment. 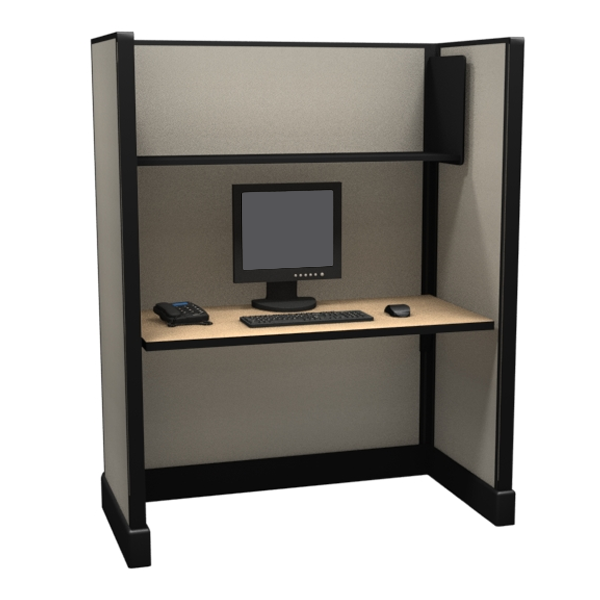 67″ Tall 5’x5′ office cubicles offer the most personal privacy out of all the 5’x5′ systems, and allow for shelving and paperflow options. 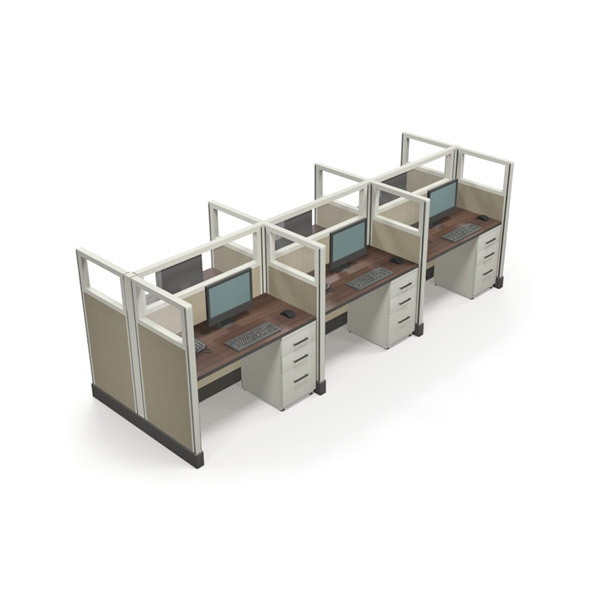 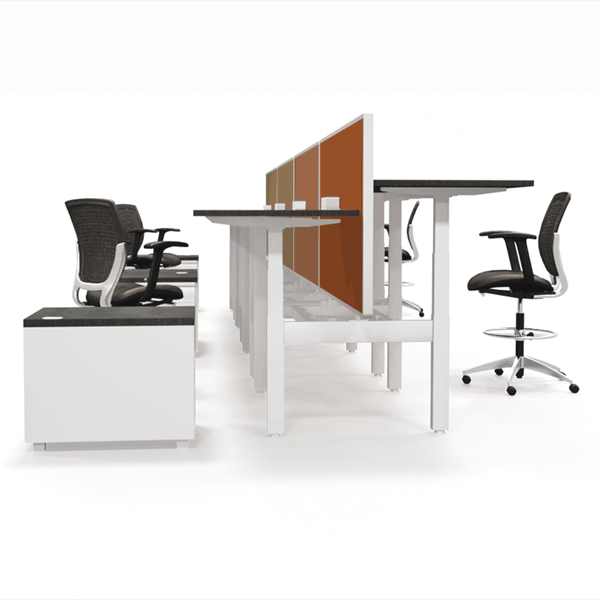 53″ Tall 8’x8′ modular furniture systems are U-shaped for maximum worksurface area with seated semi-privacy. 53″ Tall 8’x8′ modular furniture system panels offer seated privacy and generous workspace while maintaining an open feel. 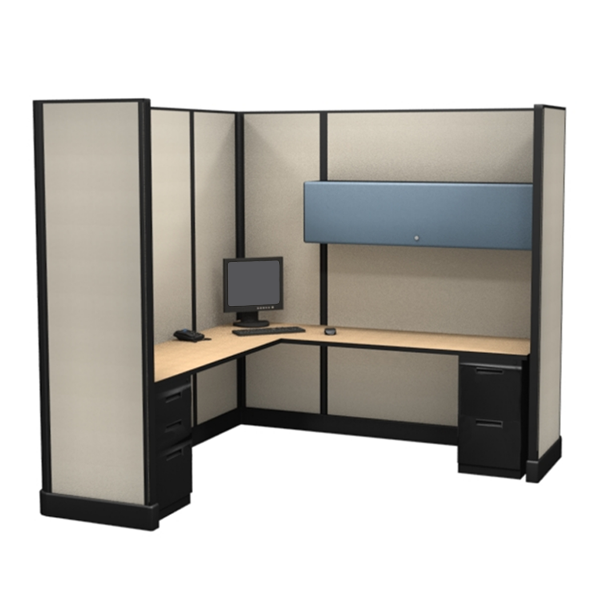 53″ Tall 5’x 5′ Office Cubicles add privacy compared to the 47″ Tall configuration, which is great for collaborative environments. 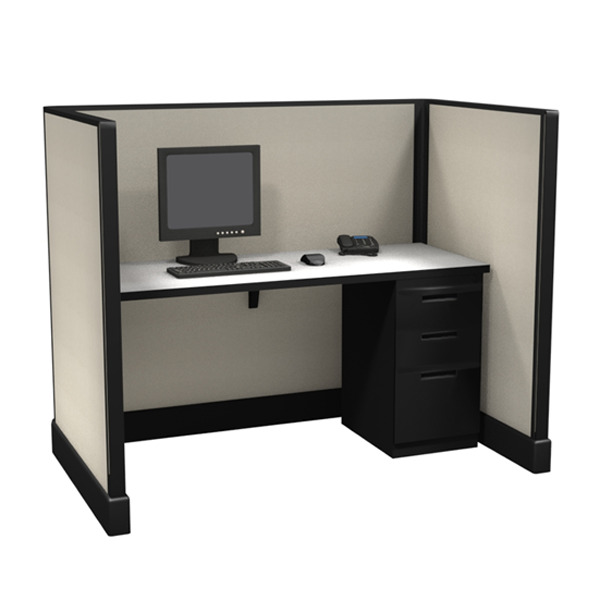 47″ Tall 6’x6′ office cubicles have the short panels that offer greater visibility and include ample workspace. 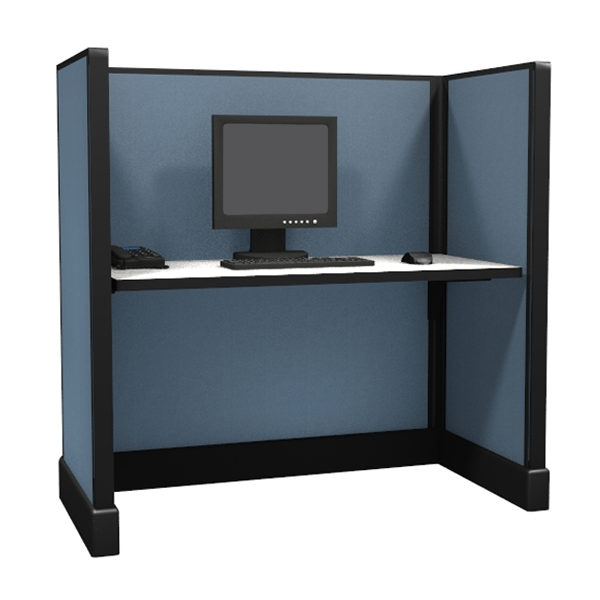 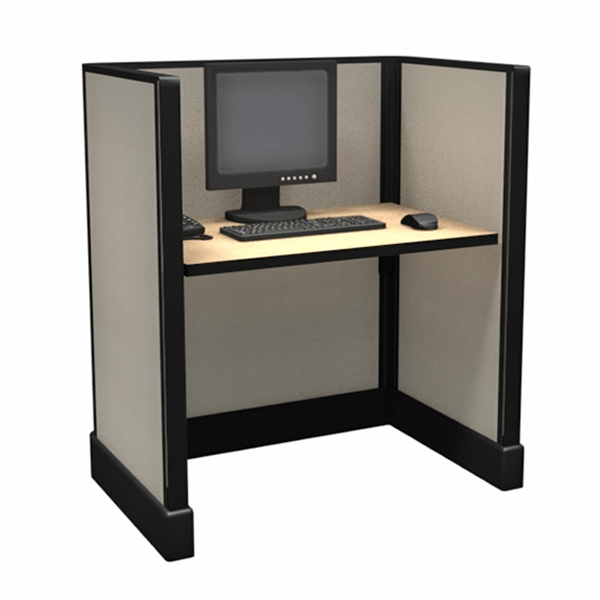 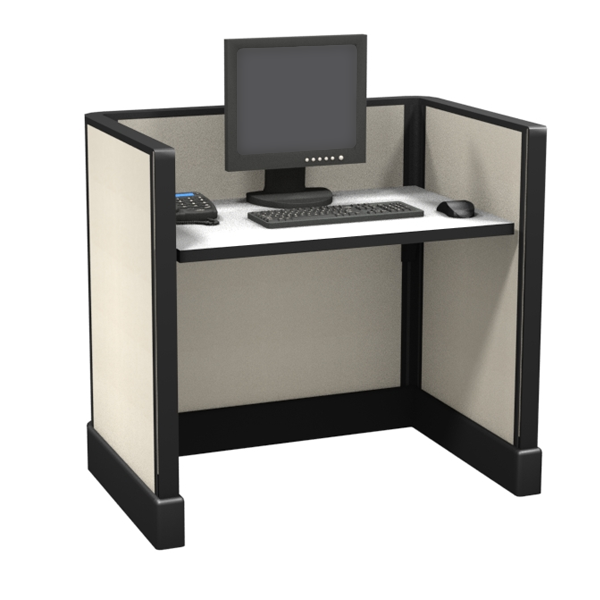 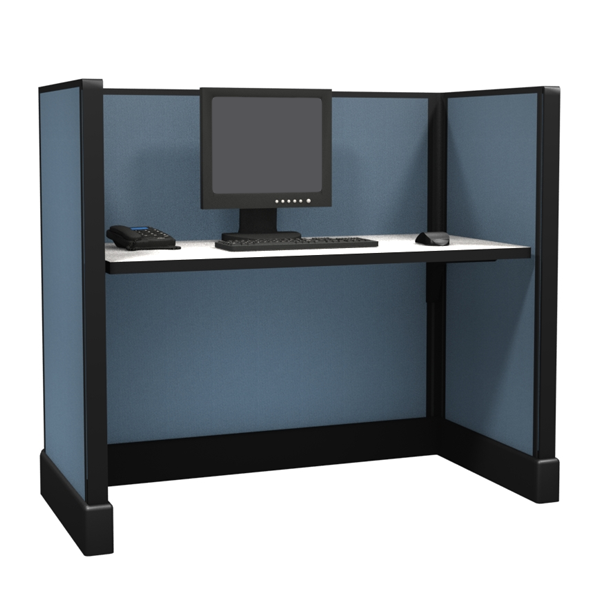 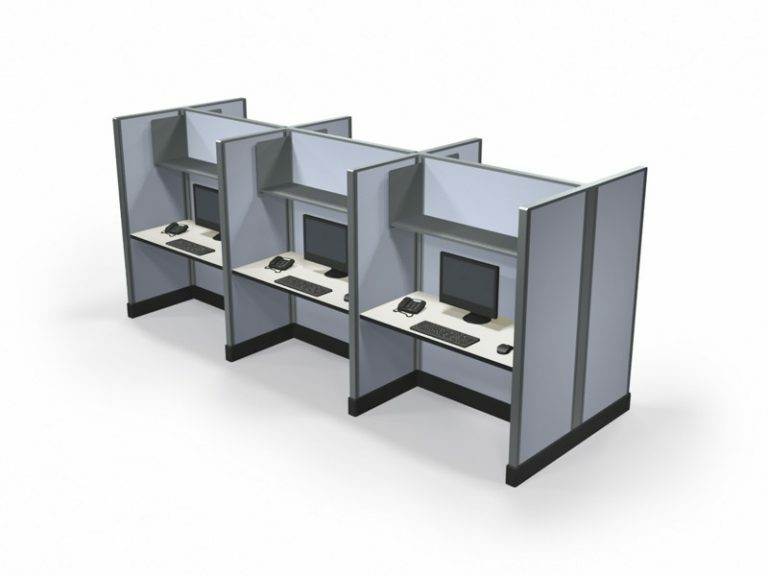 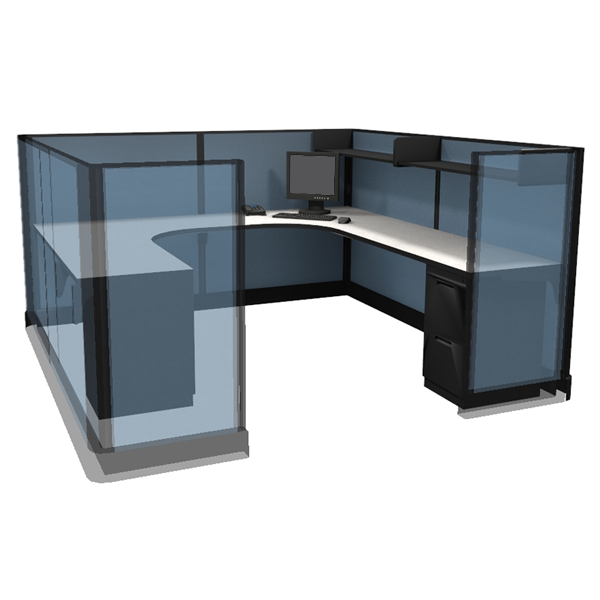 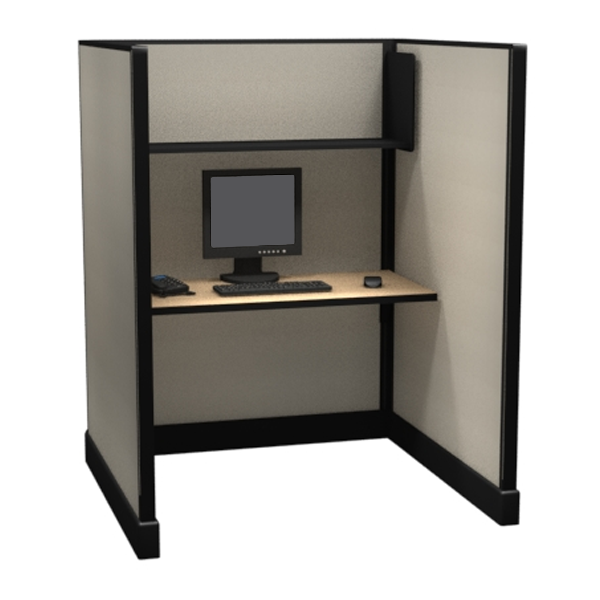 47″ Tall 5’x5′ office cubicles use low-height panels to allow easy communication among coworkers with seated semi-privacy. 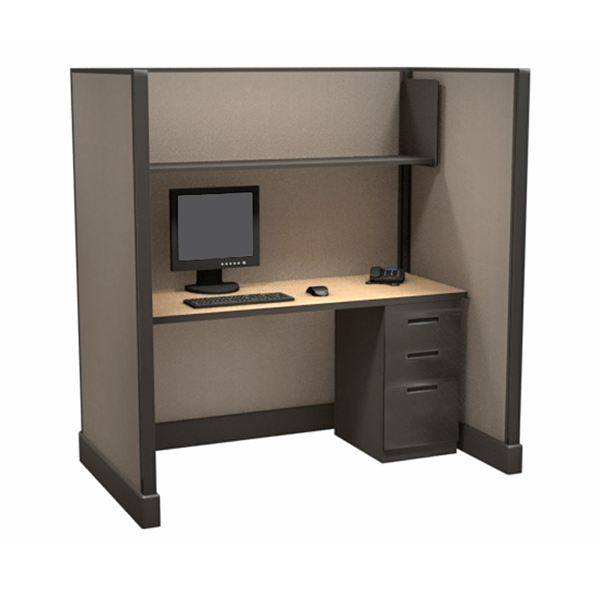 67″ Tall 6’x4′ modular furniture systems offer a small footprint, with good workspace and seated privacy. 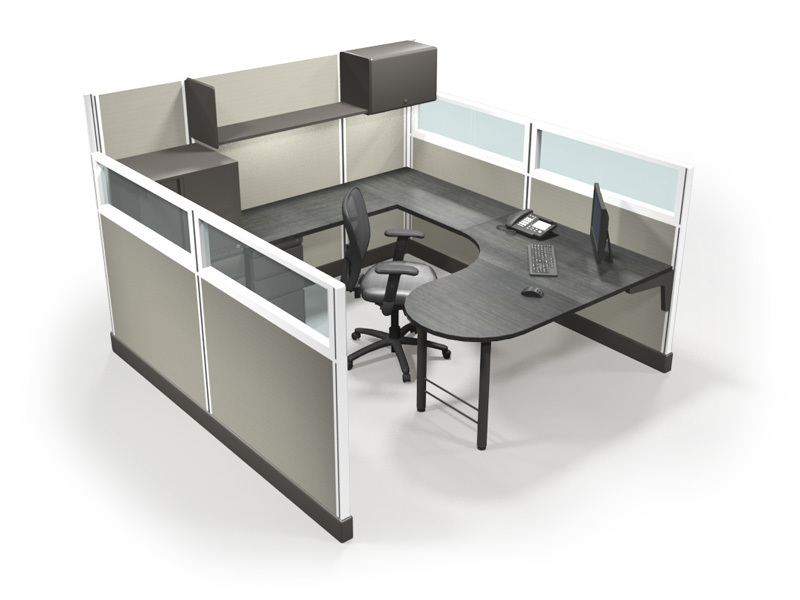 53″ Tall 6’x4′ open plan systems offer a small footprint, good workspace and seated privacy. 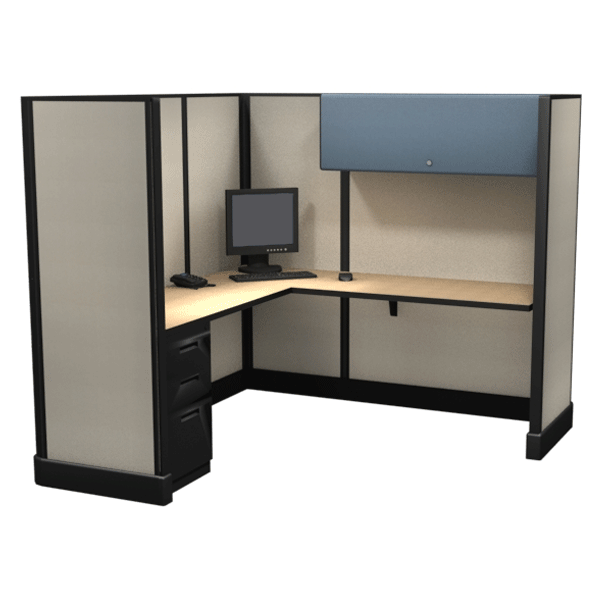 53″ Tall 5’x3′ modular furniture systems offer a small footprint and good size workspace, with a 5ft wide back panel and 3ft side panels. 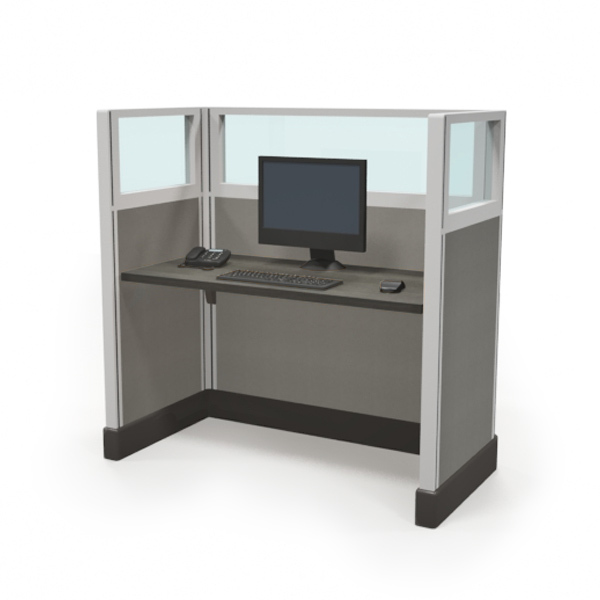 47″ Tall 5’x3′ open plan systems offer a small footprint and good workspace, with a 5ft wide back panel and 3ft side panels. 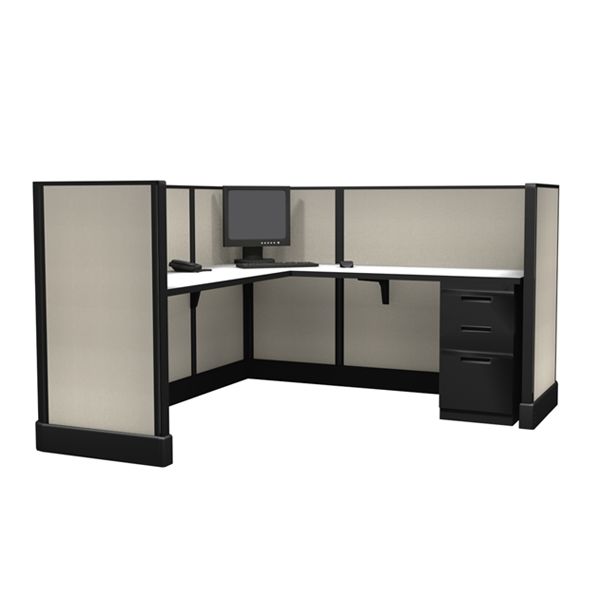 67″ Tall 4’x4′ open office systems share all the great features of our 47″ and 53″ Tall versions but with even more privacy. 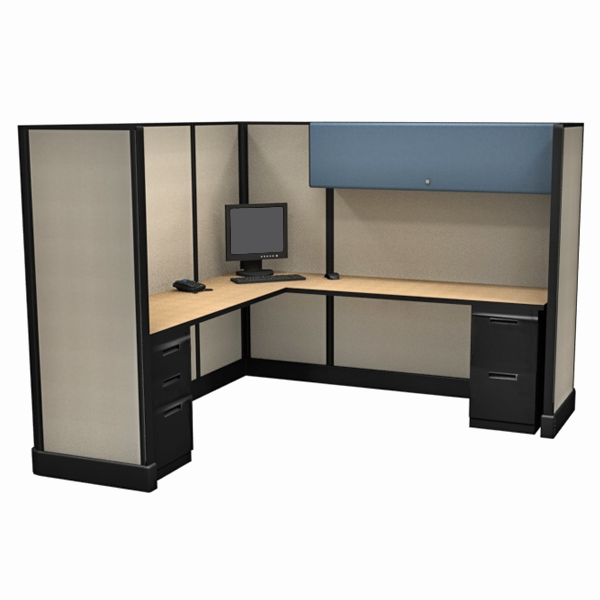 53″ Tall 4’x4′ modular furniture systems offer more privacy with full 4′ side panels. 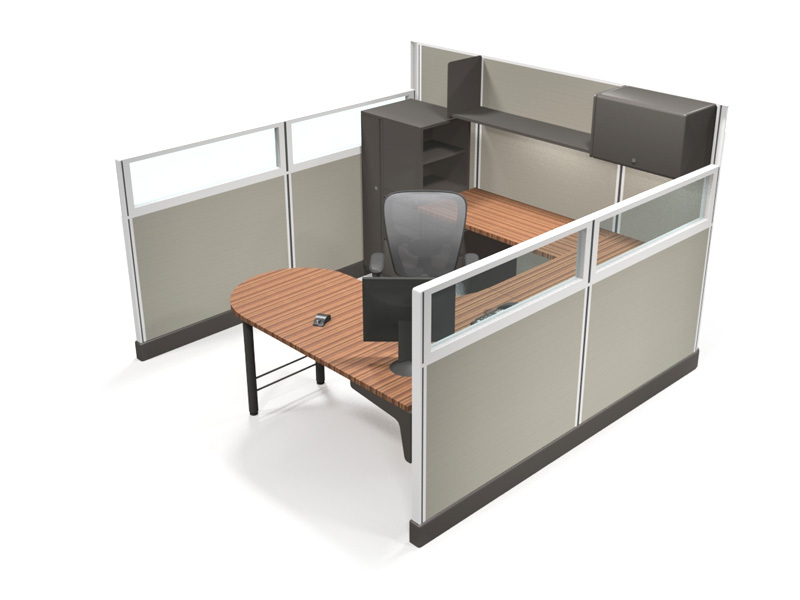 Our expert designers will create the smartest space plan for your space at no charge. 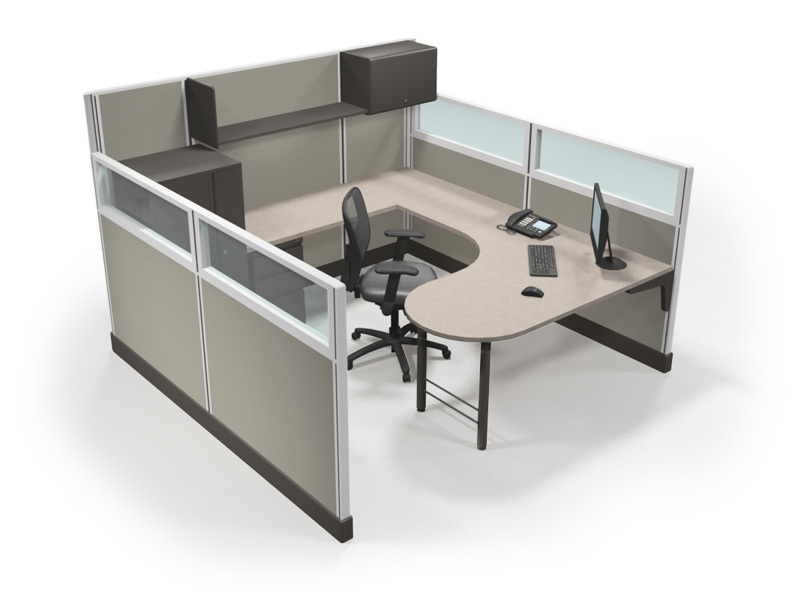 The best way to make sure you are happy is Free Design & Space Planning. 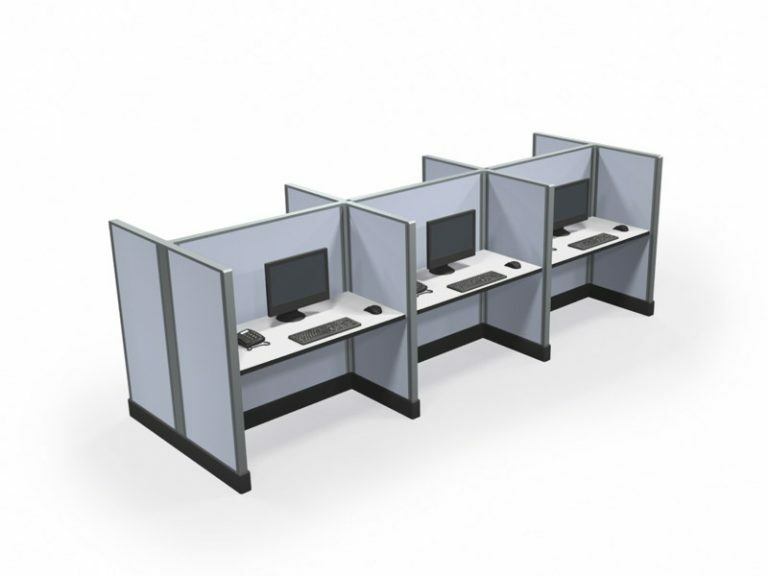 Need cubicles fast? 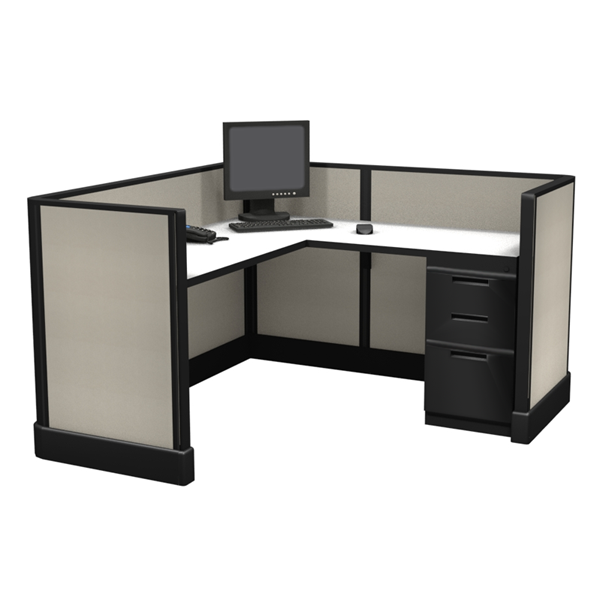 We can ship in as little as 7 days. 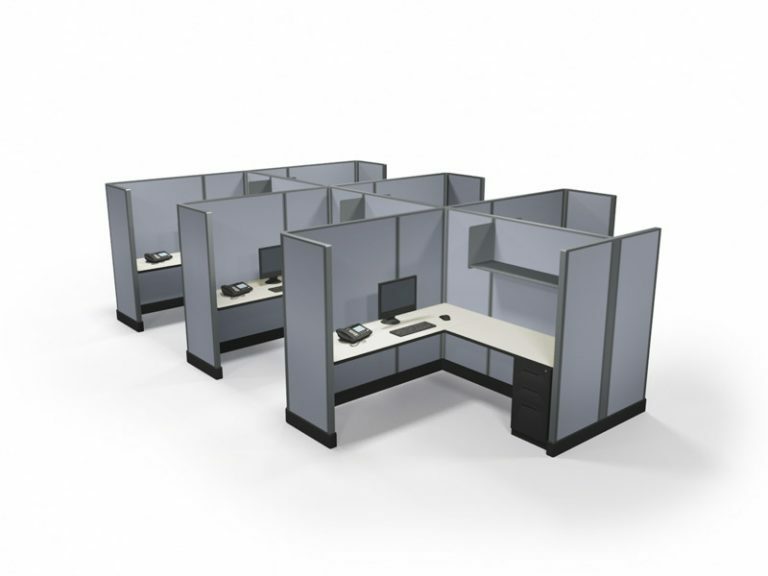 Now that's a Fast Lead-time. 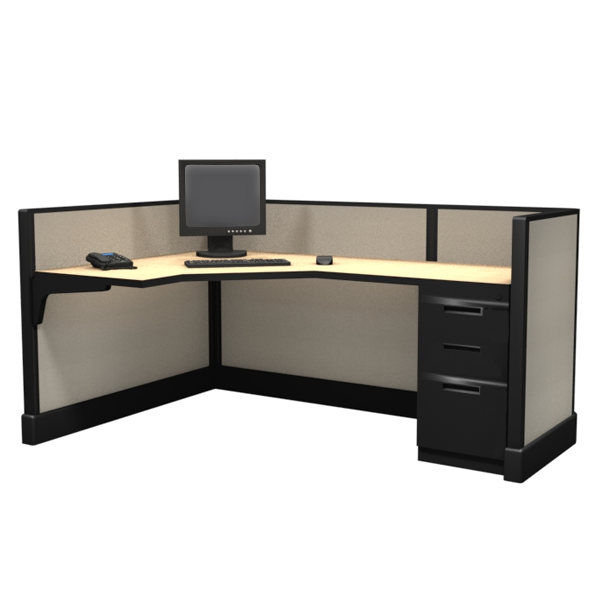 You won’t find better prices, products or service and we offer important benefits like a lifetime warranty, free design and free freight. 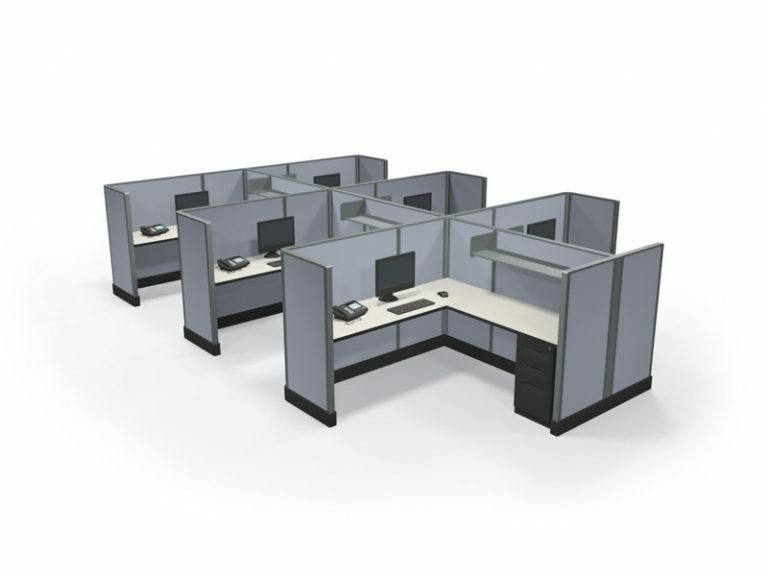 Great Prices are just the beginning. 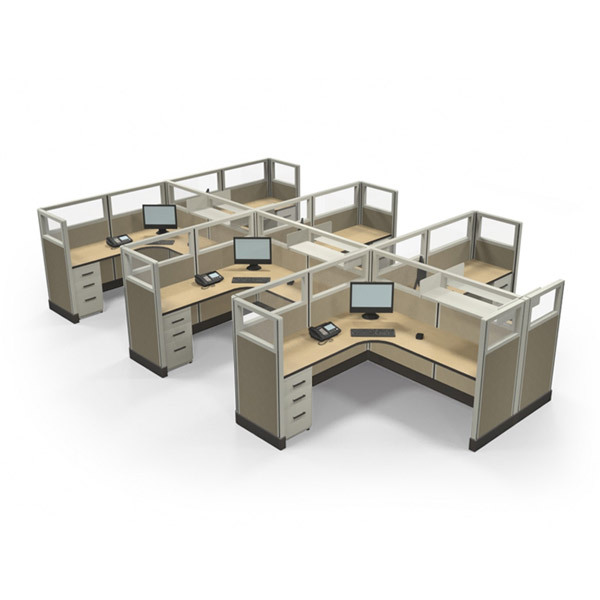 Our industry leading Lifetime Warranty is one more way to show you – We Deliver Quality Products. 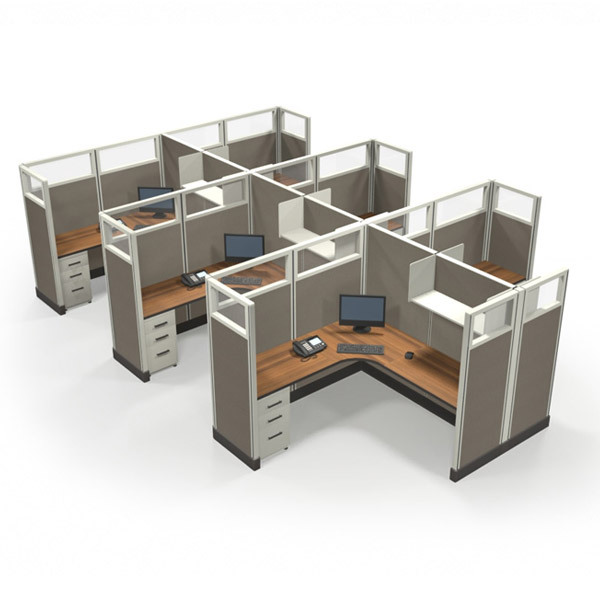 Shopping for a large quantity or multiple locations? 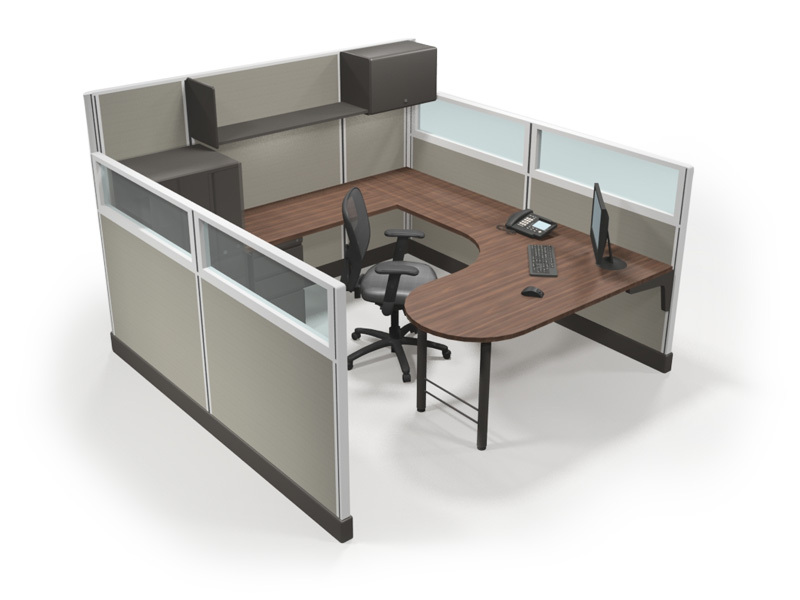 Our pricing is always competitive – and we offer serious discounts for large, multi-location and long lead-time projects. 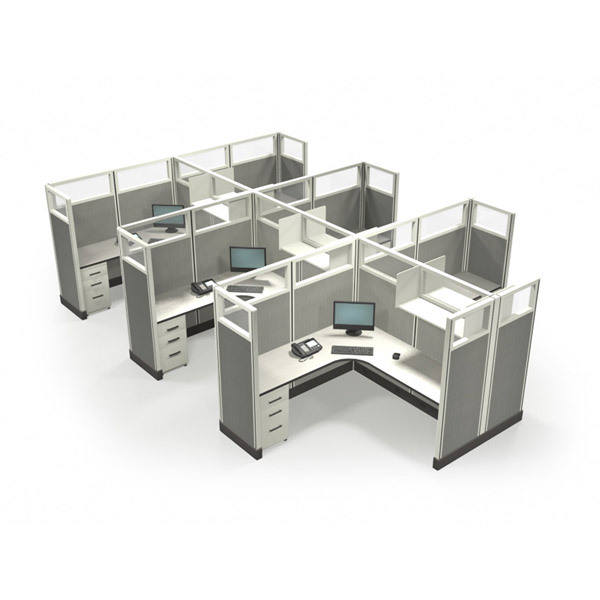 Need a turnkey solution? 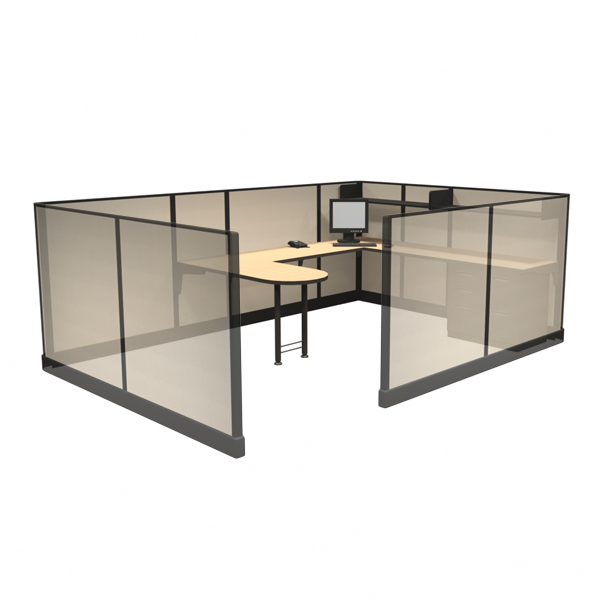 We can handle everything from Design to Delivery and Installation, and do it all for less.